On April 30 Wakefield District Governor Elect (DGE) Russell Bertrand hosted the District 7950 Training Assembly in Newport, Rhode Island. The day was an over whelming success! The half day District 7950 Training Assembly was held on the CCRI Newport campus and was very well attended. DGE Nabil Oudeh 7040, was the keynote speaker. Nabil spoke about conflict and how to deal with conflict and different personalities. Nabil has a written book called, “Conflict is for the Birds.” He was well received. The attendees then broke off into various workshops on topics such as team building, finances, ABCs of Rotary for new Rotarians, and "Grant writing for dummies." A Club Runner Seminar was held by Wakefield Rotary members Chris Hart and Jeremy Osborn. A second group session included Rotary Peace Scholar, Fran Jefferies who spoke on her experiences, David Clifton PDG explained the Council on Legislation he just returned from at Rotary’s home in Evanston. 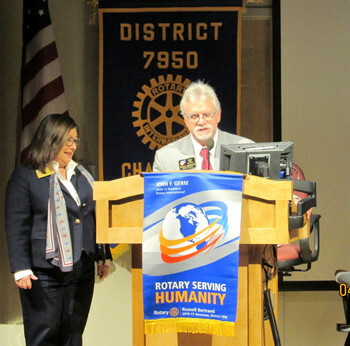 Dr. Chris Van Hemelrijck spoke on the clean water initiative in Cambodia, and Wakefield Rotary’s incoming President Spencer Seitz invited everyone to Russell's installation dinner June 10. Russell adjourned the meeting a little early after announcing his Multi District Conference April 28,29,and 30, 2017 with 2016-2017 Rotary International President John Germ as the Keynote speaker. 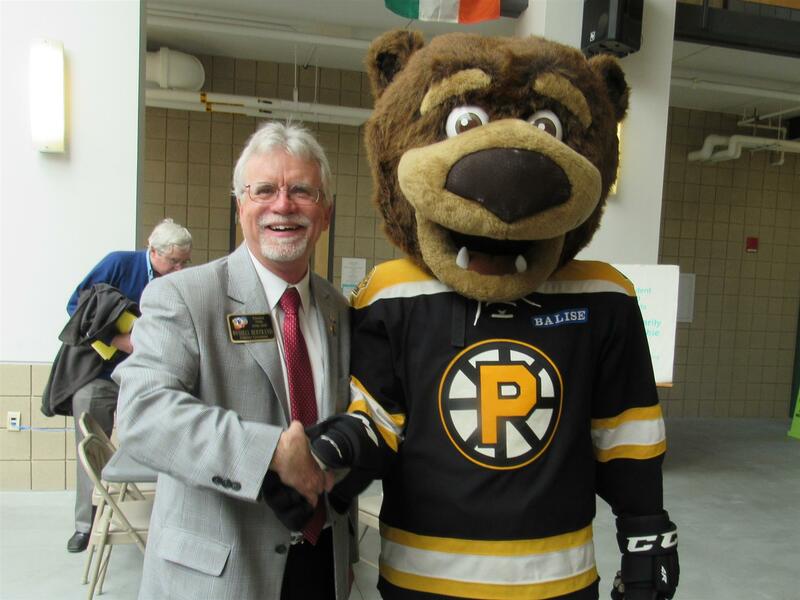 Our club is proud to support our own DGE and all that he has in store for Rotary! Nice Job Russell!